Her fans will be happy to note that talented actress Pam Andrews is returning to Rhythm City. After being away for 2 years, Pam will make a n appearance on the small screen in November. 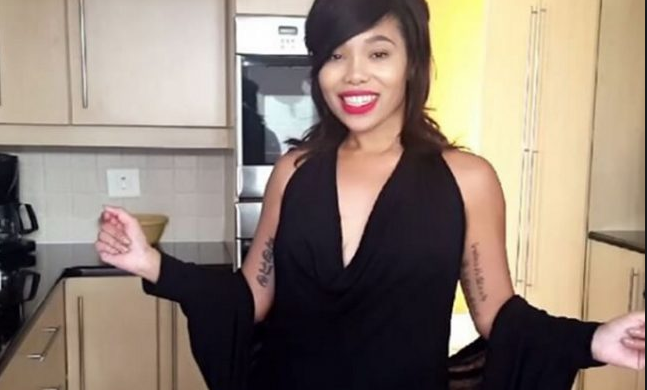 Her 5-year-old son, Cidjey will be playing her on-screen son with David Genaro, Quinton. She’s going to stir the pot between David and what’s currently going on in his story-line. The 33-year-old actress joined Rhythm City back in 2008 as the feisty Gail October and left the show in 2015 to pursue other interests. But she’s back and bringing her adorable son with her! In her TV absence Pam has been globe trotting. She went to Europe, visited France, Poland and eventually ended up in London. Having been in the limelight for about 15 years she just wanted to have a normal life in another country where no one knew her. This gave her a chance to focus on herself and focus on being a mommy and have fun!